There are noble days in herstory (the new version of history), that deserve to be remembered. March 27th, 2017 will be one of those days—and so was March 15th, 44 BC. Our current 2017 government is in the midst of a bonfire. It’s almost like Rome again—we are becoming an inferno, attempting to overstep and consume everything in our path that is old and dated. Back on March 15th, 44 BC., Julius Caesar, the dictator of the old Roman Republic, was assassinated. It was a time for a new leader. On the date of Caesar’s assassination, the sun was sitting in Pisces, which always calls for a release of pain and suffering. The death of Caesar was a true turning point in Roman history, as it marked the beginning of the transition from the old Roman Republic to the Roman Empire. On that Piscean day in 44 BC., the water energy was doing its work by allowing a land once ruled by a powerful dictator to evolve. Everything was contained in a perfect illusion, yet uncertainty tore at the core of humanity—as Pisces naturally does. 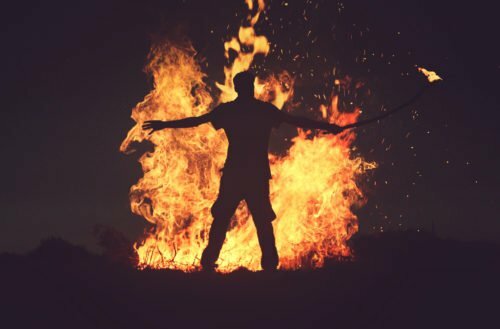 Next came the fire—we always need fire in order to change. The new empire became a bonfire—a birthplace of ideas, energized by the possibilities of a new world. Humanity needs to be reminded, prodded, and inspired to build something greater than what was before. We grow out of the ashes. The phoenix rose as the Roman Empire crashed. That empire will be considered one of the most technologically adept civilizations to date, as will ours. Today we, too, are in another era of evolution. Our world as we know it is changing. The fire persists. We are shifting from one empire to another. To do that, chaos must ensue. It’s how history goes: change is chased by chaos. On March 27th, 2017, we will have an eventful day as we encounter our own modern sea of fire. This date will hold five planets in Aries (Sun, Moon, Mercury, Venus and Uranus) and one more in Sagittarius (Saturn) for a total of six planets in fire. The moon in Aries will ignite feelings, calling out our emotional body, while Venus in Aries will give us permission to feel beautiful, allowing us to release our inhibitions and turn on our truths in our relationship by being real and honest. Mercury in Aries will give our thoughts some bite, urging us to question the status quo, while Uranus in Aries will not only open the door of wild, but welcome the unexpected. The Sun in Aries is the bringer of life. You know that feeling you get on the first day of a new job, the beginning of a smokin’ hot love affair, or taking the first step to follow your dreams? Burn, baby, burn. That’s how Aries energy feels—you can’t help but feel the excitement. Aries is also that nauseating feeling you get in your tummy when none of your questions are answered, but you can’t help feeling fully activated. You are stirred up. You care so much, yet you can’t get settled down to make the fire gentle. Fire can go either way: it creates or it destroys. No matter what your politics, you cannot deny there is a fire in the White House. A sea of fire: destructive dialogues, sabotage and change. Starting fires just because it brings instant gratification is what would be called true pyromania. 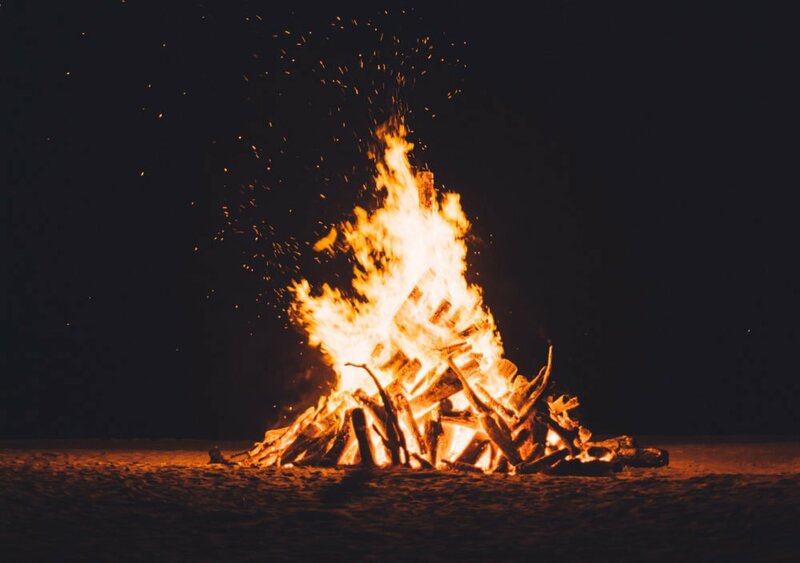 This fire—brought to us by Astrology—has a purpose. The heavens are commanding that we light our fire, the part in all of us that is heartening, exhilarating, and encouraging. As we combine our individual flame with the collective flame, we observe blazing evolution. We are in a trial-by-fire. What doesn’t endure or survive will be reduced to ashes. In these fiery times, remember that when there is love and a fight for the truth, based on conviction of the soul, anything can survive. Fire cannot burn fire. True love will always find its breath even after the heat of a storm, the death of a leader, or the shattered glass of a heartbreak…but only if the fire is real and true. This March, with all this fire in the sky, I ask you: what is worth standing up for? Where is your true love? Is your heart open to speaking your raw, honest truth? Welcome to March’s sea of fire and this wild, flaming Aries energy. Come work with Debra and transform your life. Thank You Debra for your comments and letters. I am a Sag. and hope you are right about March 27, actually I know you are right. Will follow you advice and at the moment do need it very much. Thanks again and sending all my love. Kimberly if you are interested in a reading with Debra just write to silvermansupport@gmail.com and Jeremiah, Debra assistant can give you all the information you need to set up a reading. I feel that alot of change and protesting needs to be done get Trump and his Cronnies Impeached and out of the Whitehouse!! !